Is a Good Quality Vacuum Cleaner worth the investment? When I have guests over at the house I usually get asked how I keep my carpets looking so fluffy, fresh and new? The simple answer is that I invested in a good vacuum cleaner to cater for my house cleaning needs. 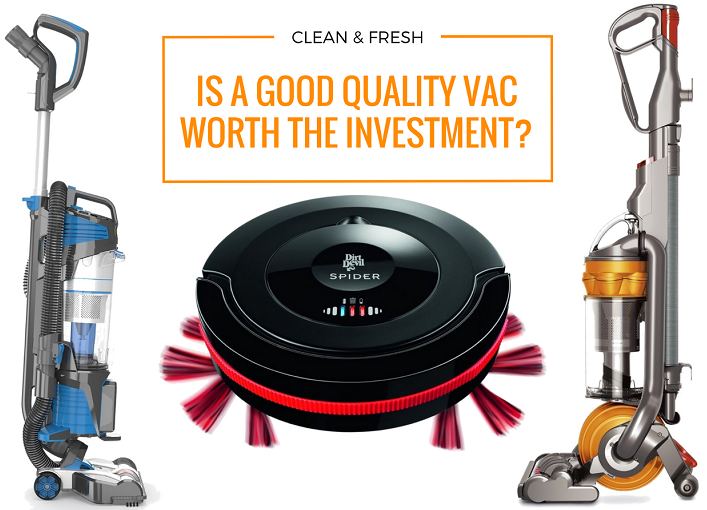 Is Good Quality Vacuum Cleaner worth the investment? In many ways a high performance vacuum cleaner provides plenty of benefits for you and your family beyond just cleaning your floors. I suffer with hayfever which normally kicks in at the beginning of summer. The HEPA filter in my vacuum cleaner ensures that my sneezing around the house is kept to an absolute minimum. That alone is worth paying a bit extra for a good quality vacuum cleaner. If your home is prone to copious amounts of dust then you might unknowingly be sharing your space with dust mites or other allergens that could be making you feel unwell. Carpets attract all kinds of bacteria, germs and dust. Lucky for you its a problem that’s relatively easy to sort out by giving your carpets a regular blitz with your vacuum cleaner. A vacuum cleaner does a lot of the hard work for you. Its doesn’t require a great deal of movement compared to using a manual appliance such as a brush and dustpan. Powerful suction will leave your carpets looking and smelling new with minimal effort. I opted for a bagless cylinder vacuum cleaner with appliances to clean my mattress, sofas, stairs and car. It’s portable enough to get round awkward spaces and 3 flights of stairs but powerful enough to pick up all manner of mess. Its satisfying to see how much dust and dirt has been collected, in the transparent canister, and emptying it out promptly with little fuss. Is your house on multiple levels (like mine)? How much carpet is in your home? Is the vacuum cleaner hard-wearing? Hailed as one of the most favoured choices in most homes, the upright vacuum cleaner is versatile enough to make light work of most floor cleaning tasks. Its suction power is one of the best in the business and powerful enough to lift out dirt, hair, sand and dust that’s ingrained deep within your carpets or rug. A popular function of the upright vacuum cleaner is the ability to control the spinning brush roll in the vacuum head which can be switched off when cleaning laminate, vinyl or wooden flooring to avoid scratching the floor. You can then switch it back on when cleaning your carpets and rugs. The power of the spinning head will seek out dirt hidden deep within your carpet pile. You can also control the suction level on certain models depending on whether you’re cleaning low or deep pile carpet, curtains or rugs. 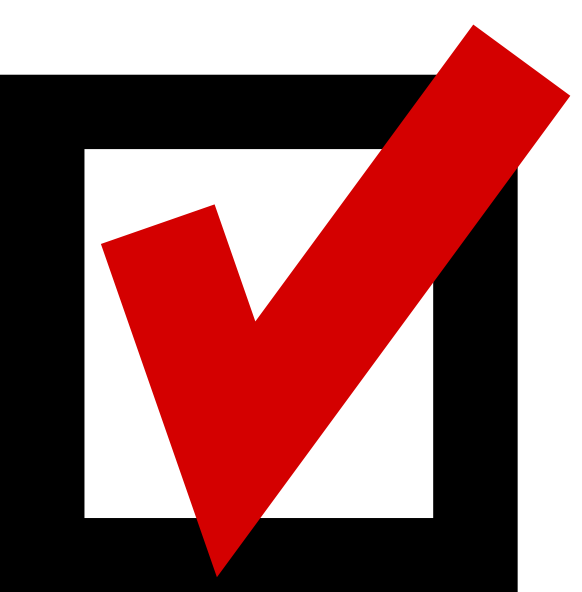 You also have to decide whether to go bagged or bagless vacuum-a more detailed review between the pros and cons of the two can be found here. 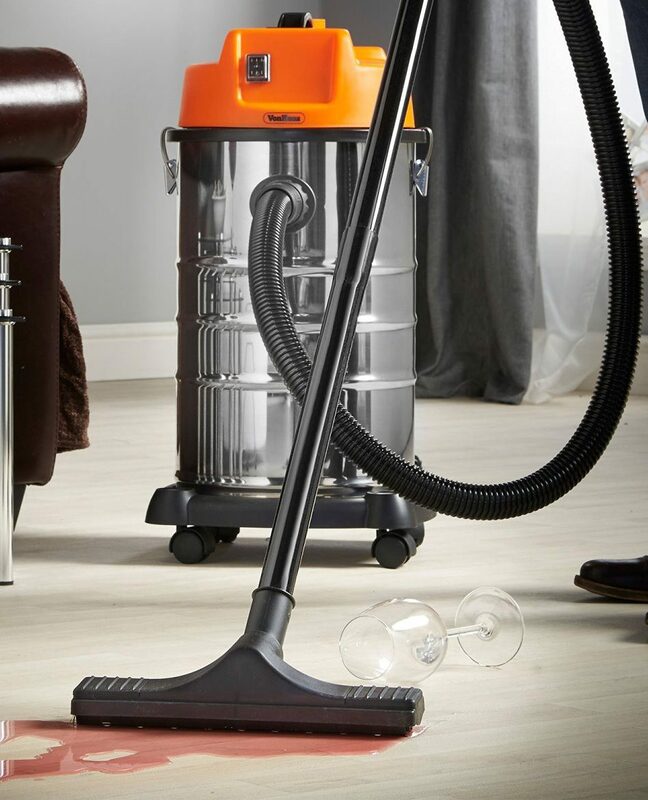 A great feature of the modern upright vacuum cleaner is that it is sealed internally and has a HEPA filter that traps dust and dirt from escaping once sucked into the bag or canister. You then have the added benefit of clean air being expelled from the vacuum that is 99.9% free from allergens and bacteria. If you have a big house or large areas to clean, a canister vacuum cleaner is a great option. The power in a canister machine is similar to that of an upright vacuum. They are versatile enough to handle demanding cleaning chores and easy to move around the house. In most cases, you are provided with a long extension hose that’s perfect for cleaning your stairs, curtains or sofas. 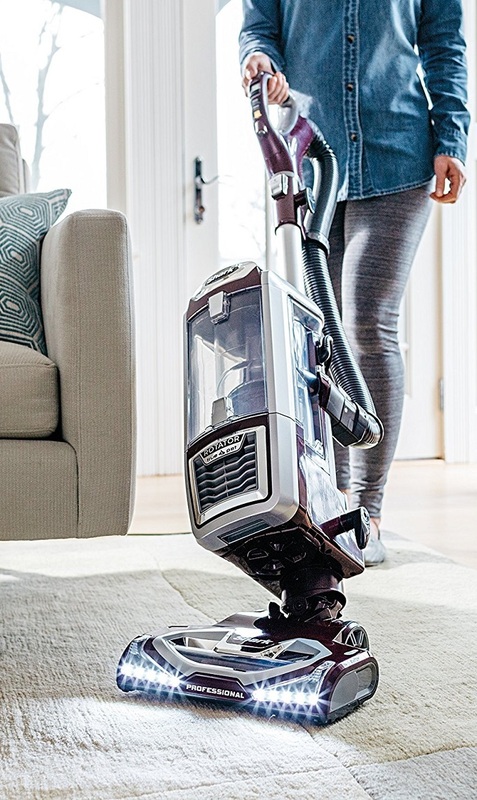 Canister vacuums are slightly better on wooden, laminate or tiled floors than carpets but top-of-the-range units with extra power can cope with deep-piled carpets just as well as an upright vacuum. Don’t be worried about the weight of the unit because it’s easy to manoeuvre around on its wheel base. Just be sure to find one with sturdy wheels and good clearance at the base. This ultra portable vacuum cleaner is at the forefront of cleaning technology. It requires no intervention from you except when you initially set it up and when it needs emptying out. 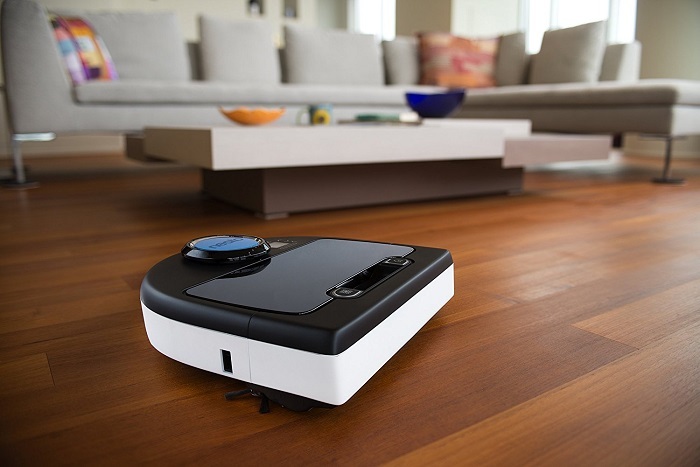 A robot vacuum cleaner is small, powerful and hands free. It’s inbuilt sensors are clever enough to detect and avoid obstacles and stairs. It also remembers the parts of the floor or carpet that have already been cleaned and when finished it will return to its docking station to charge its battery ready for the next task. The more sophisticated models can be controlled via an app on your smartphone and can be programmed to vacuum whilst you are out shopping, walking the dogs or at work. Don’t underestimate the minimal size, these little gadgets are designed to find and lift dust, fluff and all manner of dirt leaving your floors spotless. It can be conveniently wall-mounted for easy storage. If you have a very busy lifestyle and would prefer your vacuuming done for you then a robot vacuum cleaner is a great solution to consider. If vacuum cables (or any sort of cables) annoy you or you have a shortage of plug sockets around your house then it might be a good idea to consider buying a cordless handheld vacuum cleaner. It is much more compact than your standard corded vacuum and comes with an inbuilt rechargeable battery. 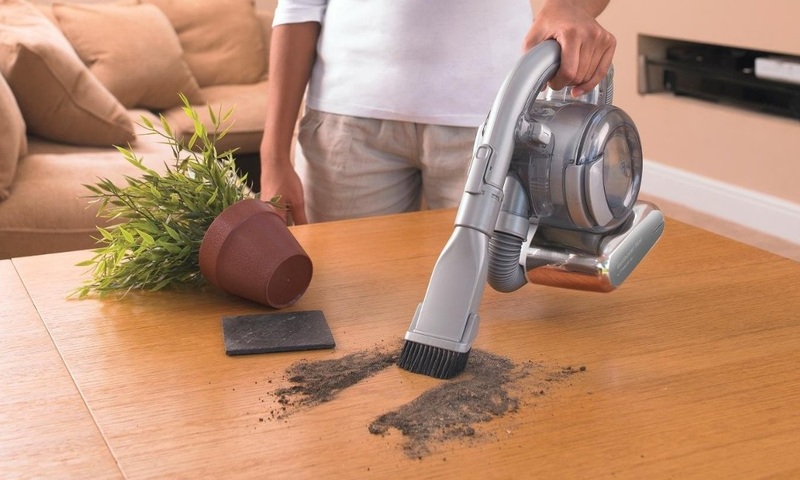 Cordless handheld vacuums are bagless and contain a removable canister that collects dirt and can easily be emptied. Although compact, this little machine provides adequate suction to perform most household cleaning tasks especially hard to reach areas where a normal sized vac would struggle to reach. It comes equipped with various floor tools, brushes and crevice accessories to make it a versatile compact cleaning beast. A stick vacuum cleaner is a smaller and lighter version of an upright vacuum cleaner. The motor is positioned on the wand or the handle, instead of the base of the cleaner, which then links to the suction heads. This type of vacuum is good for a house with small spaces with minimal carpet or low-pile carpet. The compactness of a stick vacuum allows for quick and small cleaning tasks that don’t require you to take out and set up your main vacuum cleaner. It’s great for frequent cleaning of little amounts of dirt. Stick vacuum cleaners are not as adaptable as full-sized uprights or canister models. 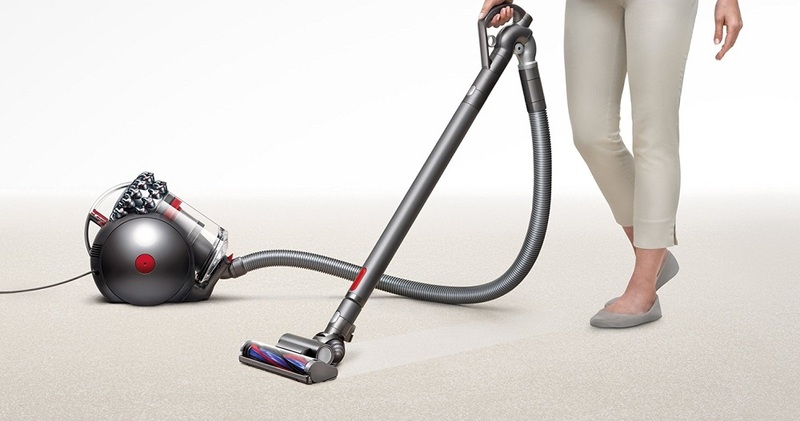 They normally don’t have the powerful suction needed to clean bigger areas or deep-pile carpets. Attachments are usually scarce which further limits their functionality. Nonetheless, if you require a lightweight cleaning tool that’s super quick to get rid of small amounts of dirt then a stick vacuum cleaner is a perfect addition to your cleaning toolkit. A wet and dry unit is one of the most adaptable vacuum cleaner. It is able to perform a multitude of tasks from sucking up tiny particles of dirt and spillages to tackling the deepest of carpets, it can even clear a blocked sink. The units are generally equipped with large collection bins plus you have the choice of getting a bagged or bagless option. A great range of tools and attachments are supplied to handle most jobs. A slight downside of wet and dry vacuums is that they tend to be loud. As the name suggests, a wet & dry vacuum cleaner is capable of dealing with wet or flooded areas but beyond handling water it can be used outside, in your garage and is tough enough to pick up broken glass. If you require a robust unit that will address most, if not all, your cleaning requirements then a wet & dry vacuum cleaner is worth considering. Although not technically a vacuum cleaner, a steam cleaner is another great tool to lift stubborn dirt using the power of steam. I find it especially great for lifting built-up grease or oil on my cooker hood or burnt food stuck at the bottom of the oven. It’s versatile enough to use around the house. 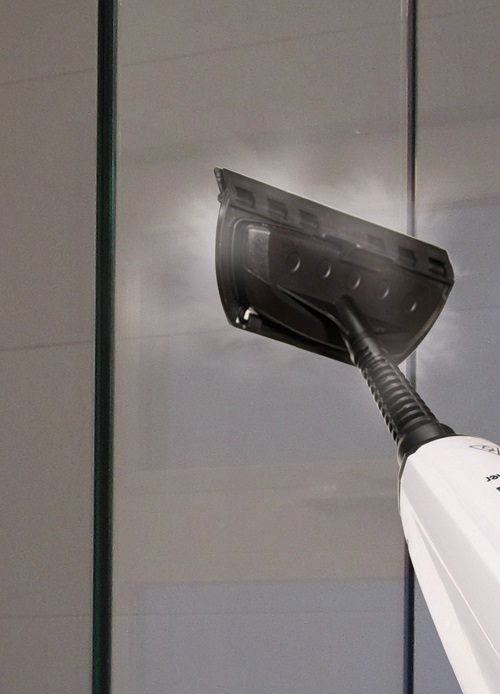 I use it to steam clean the inside and outside of my windows, between the radiator grills, inside the microwave, the bathroom tiles, sink and shower area.My husband even uses it to clean the car. The best thing about a steam cleaner is that you don’t need detergents, it uses the power of hot steam to blast dirt off. They come with a good range of attachments for the tasks described above.The output of steam can normally be controlled depending on the model you purchase. 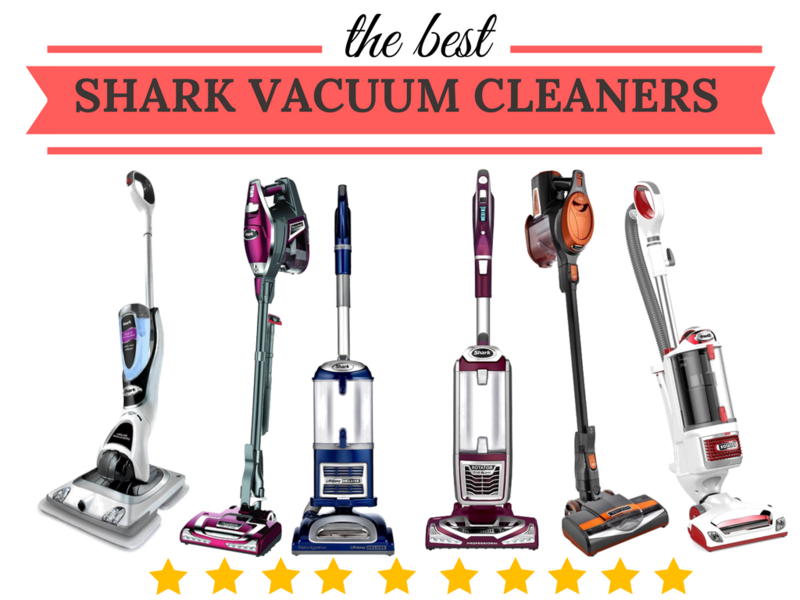 Is a Good Quality Vacuum Cleaner worth the investment? Absolutely! A good machine will consistently do away with the bacteria, dust and dirt living in your carpets, it will get rid of allergens in the air and creates a healthier environment around your home. 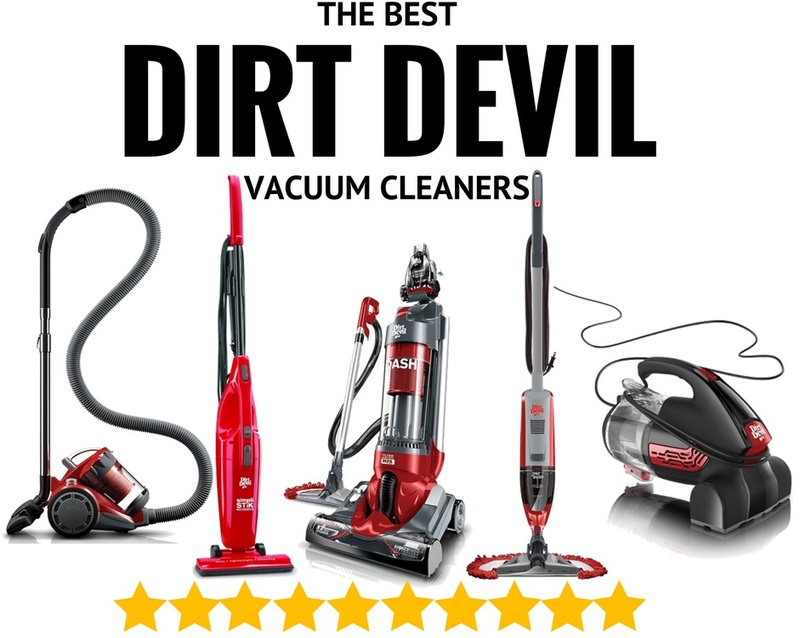 Carefully consider the features you require from the various types of vacuum cleaners described above and feel free to drop me a comment below if you require any further help with your selection. My brother’s house has 3 kids, 2 dogs and 1 cat. So you can imagine how chaotic the weekend cleaning chore can become. They recently bought a robot vacuum cleaner and I am amazed how efficient it works. It leaves spotless (almost) dust and hairs so that you can clean the floor better with mops. Definitely good news for the moms as your workload is cut down by half. Hi Cathy, Robot vacuums are a godsend for busy households and busy moms. My favourite function is programming it to clean the house whilst you’re out shopping or at work. It’s like having a little helper cleaning whilst you concentrate on something else. Brilliant! Would you consider purchasing a robot vacuum for yourself?